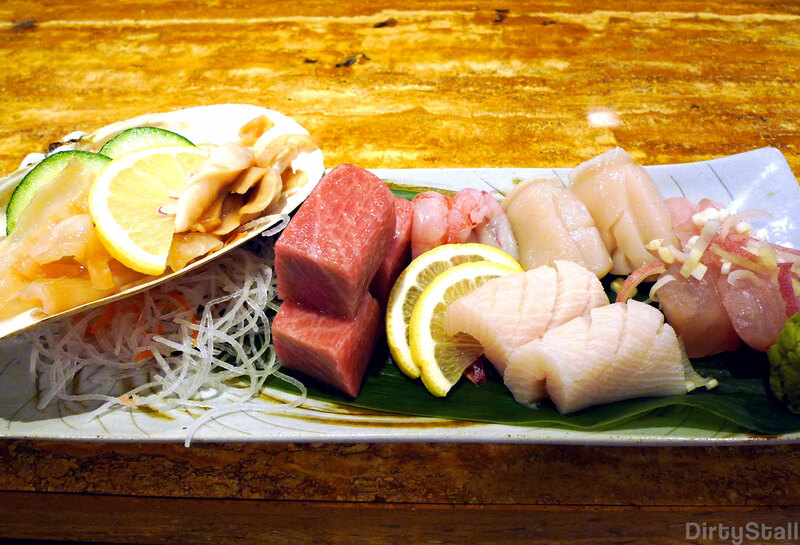 Time for the last omakase of the year at the Standing Sushi Bar, an early one for Christmas! 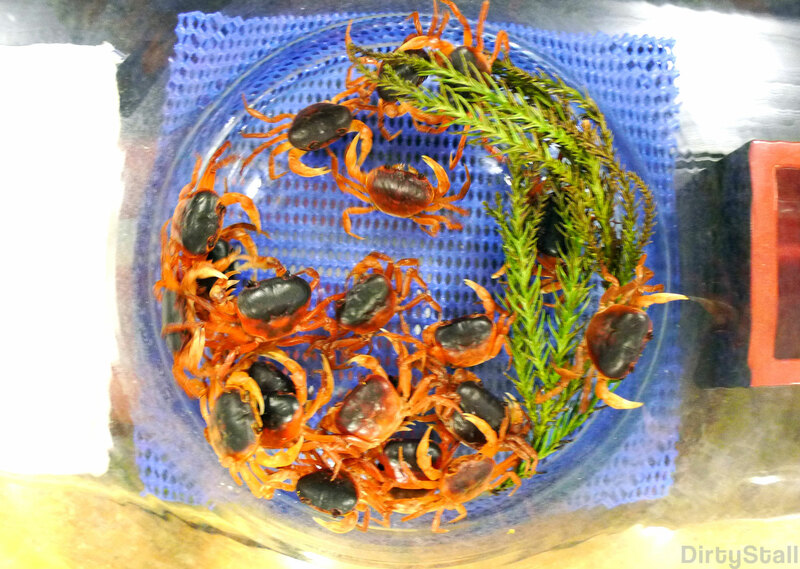 This time they had these cute sawagani (small river crabs) in a jar on the counter. Zensai is Japanese for hors d’oeuvre. 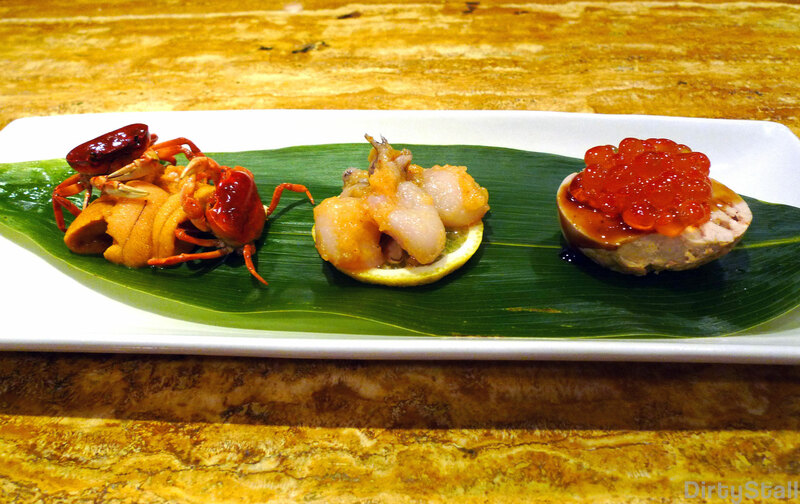 This is a more kaiseki-style appetizer. 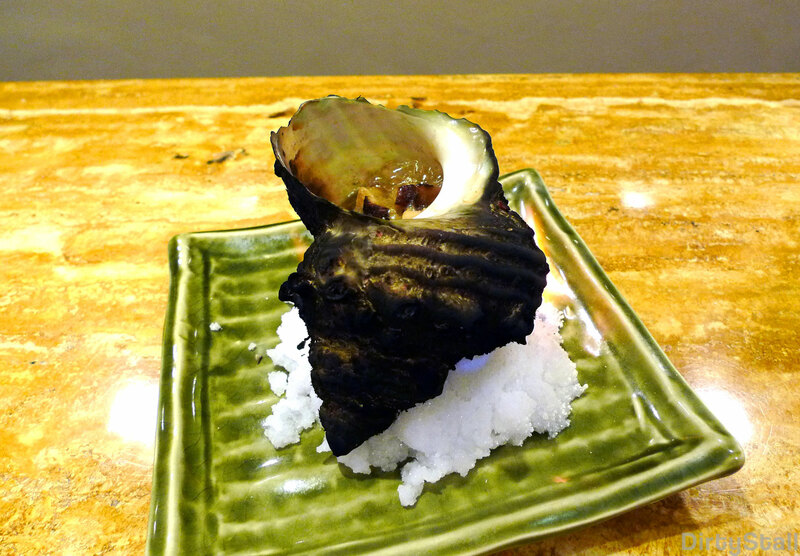 In season now, this is turban shell sliced up and boiled in its own shell with shiitake mushrooms. The white crystals below are actually on fire to keep the sauce bubbling hot inside the shell. Very tasty and reminiscent of top shell. 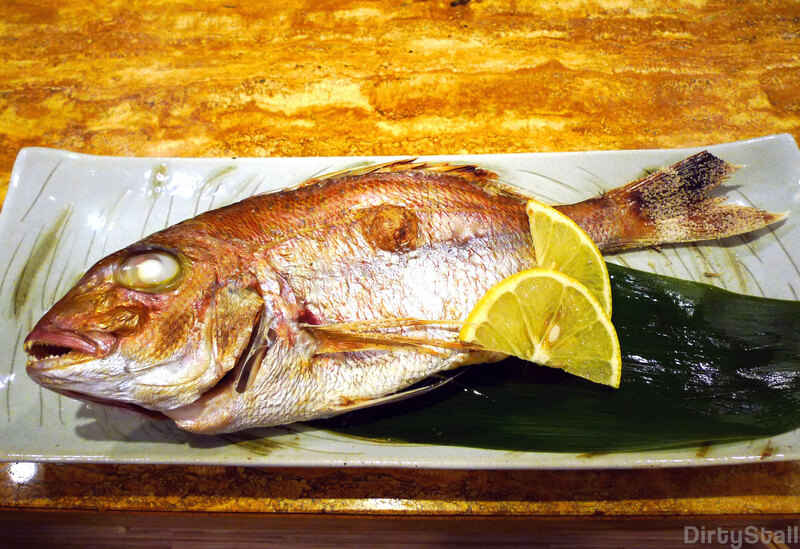 I’m not exactly sure what kind of fish this is but I think it is some kind of red sea bream. Very very fresh and tasty, I was practically wolfing it down because I loved the salt-grilled skin and the sweet flesh! It was quite a large fish to boot as well. This is the highlight of the omakase for me. Matsusaka beef is basically a type of wagyu beef which originates from the Matsusaka region in Mie, Japan. Matsusaka is considered one of the generally recognized three most famous beef brands in Japan, along with Kobe beef and Yonezawa beef. I’ve had this same beef teppanyaki in Kichijoji and I really wanted to go back and eat it because it is just so delicious. So I’m really glad to get a chance to eat it at the SSB. It’s exactly how I remember it, richly marbled fats that are soft and tender with the meaty juices bursting out when you bite down into the cubes. It really is heaven for a beef-lover! This is uni wrapped in nori and then fried in tempura batter. 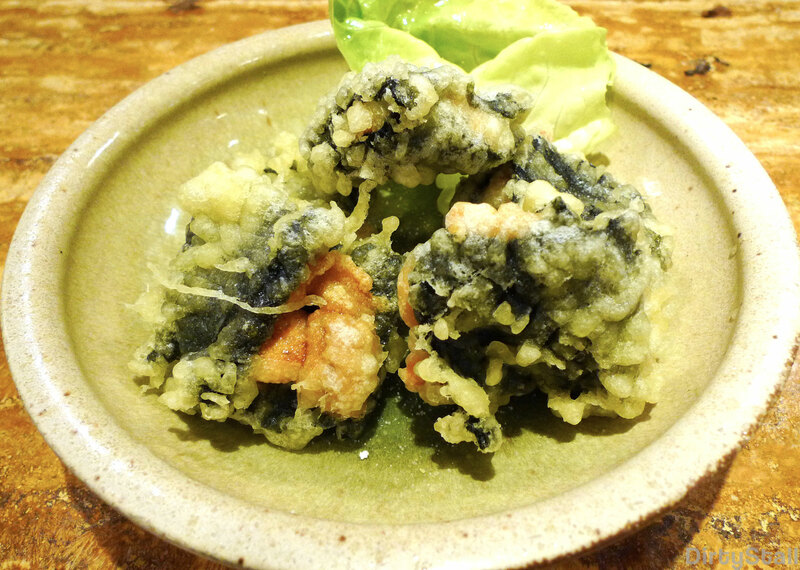 This is actually a two-fold taste because the seaweed separates the uni from the tempura. So you taste the tempura first then the uni bursts out and you get the familiar sea-brine taste of uni flooding your mouth. Loved this dish as well! 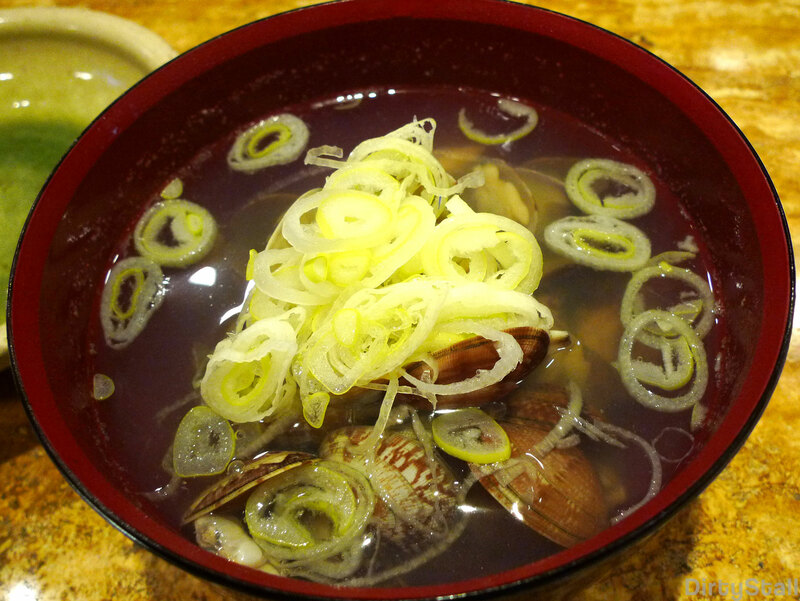 This clear soup is made by boiling the Manila clams with some sake. 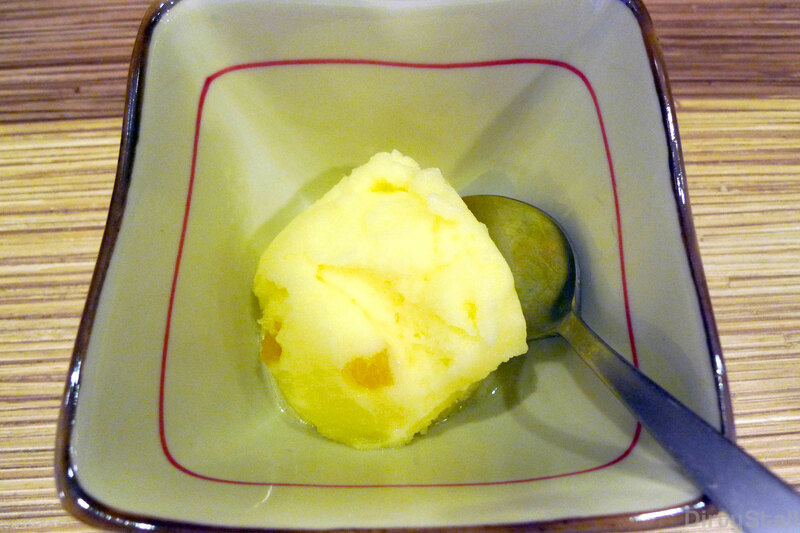 The soup itself has that strong shellfish taste yet it is tempered by the sake aftertaste. Even if you can’t see it, there are really a lot of clams in there. 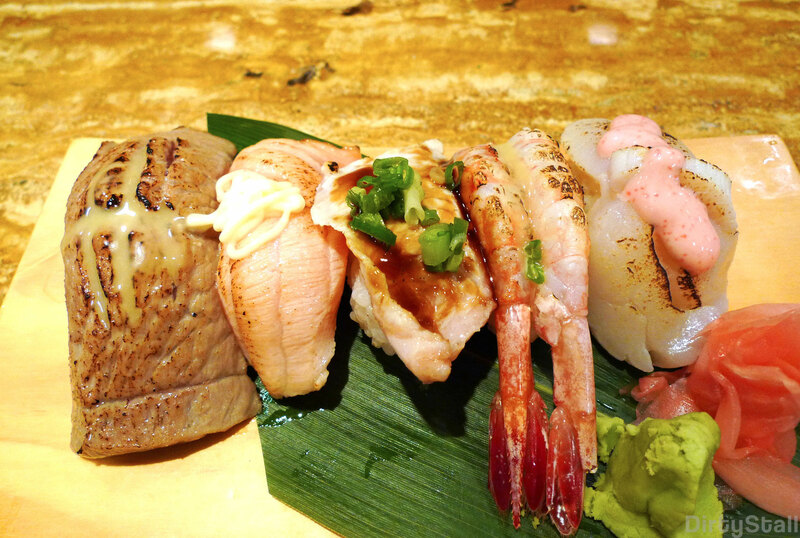 All the sushi were done aburi-style and they were damn delicious!! 5 Responses to "Early Christmas omakase!" awesome. 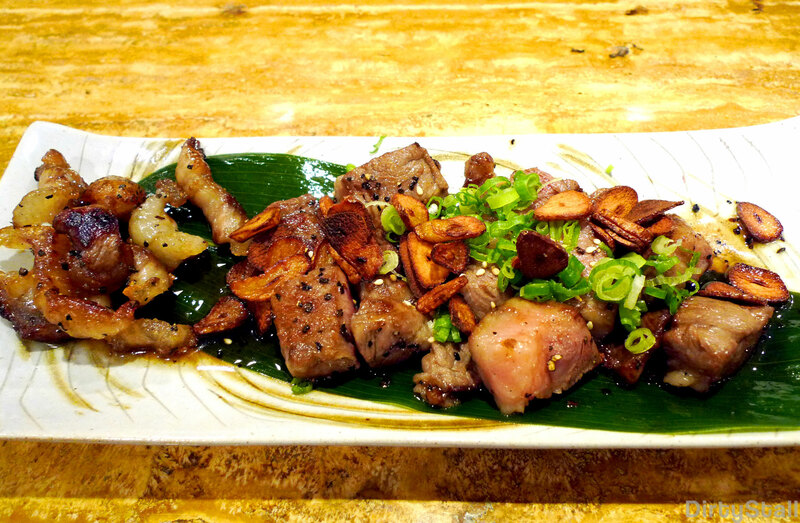 wow SSB serves Matsusaka beef. this omakase must be expensive. how much was it? Yes it was an awesome omakase! It cost $200+. I was rather lucky that night, as the SSB only imports in this kind of beef very rarely & randomly as well. christmas must really have come early for you.